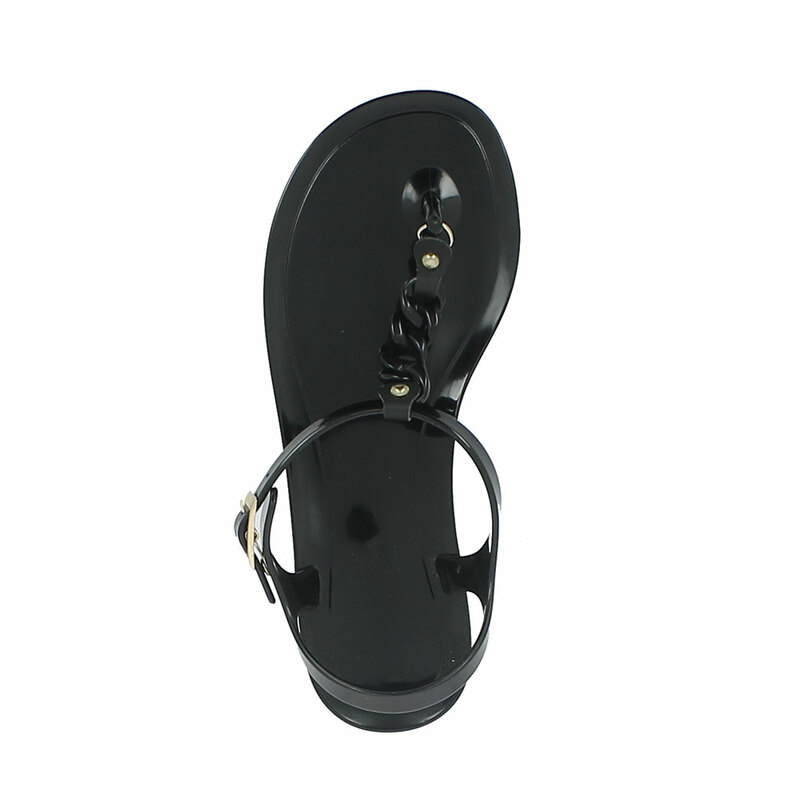 Solid colour bright finish pvc sandal with a small chain on the foot instep. Made in Italy The article can be customized by the application of accessories and by special processes: brushing, varnishing or flocking. This PVC footwear boasts a production entirely Made in Italy and all materials used in its manufacture meet the R.E.A.C.H. standards. 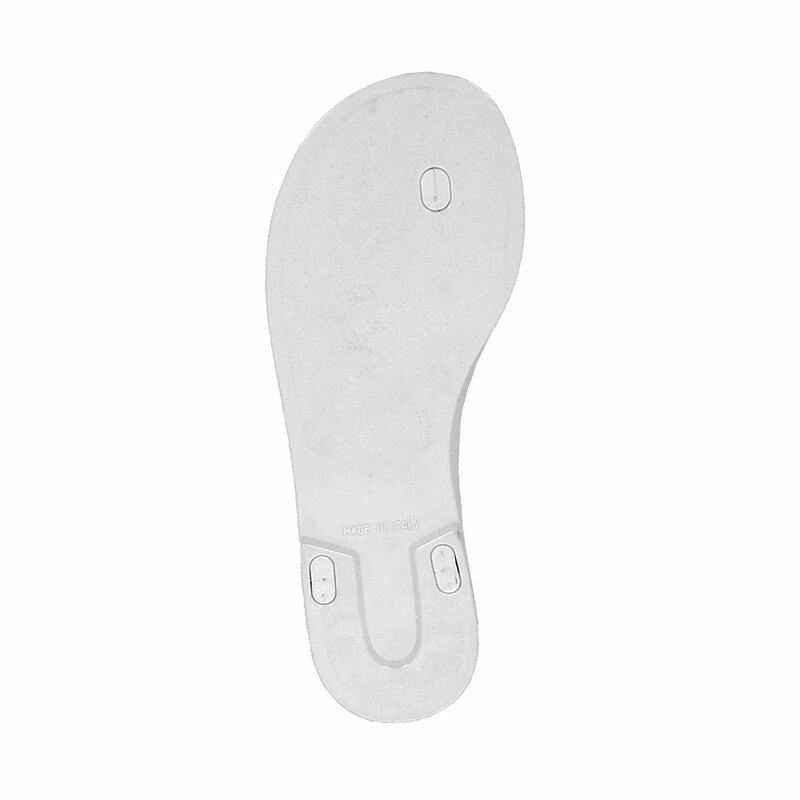 Size run: Double sizes from 36-37 to 40-41.